Eggless Christmas Fruit Cake recipe with step by step photos in vegan style! 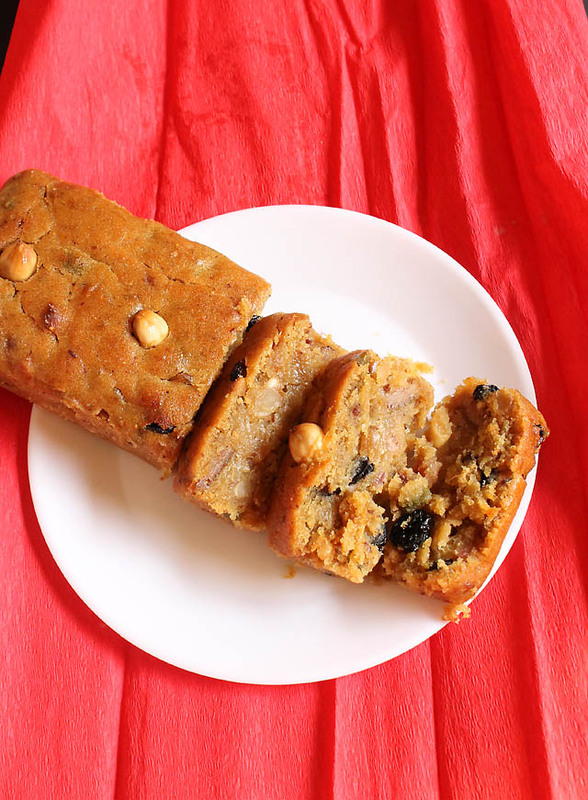 I was getting a lot of request from my readers so made an Eggless Fruit Cake. I did make many kind of cakes for Christmas Cake and this was one of them. I have made Goan Baath Cake, mango sponge cake, Wine Chocolate Cake along with other sweets and savories.. I am going out of town to attend a family function and wedding. 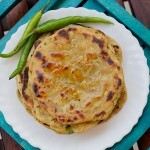 So I would be away for few days however will come soon and share regular recipe updates. Enjoy your day will catch you guys soon! 1. Preheat oven at 180°C for ten minutes before baking. Grease 2 squared Or rectangular shaped pan with oil place a parchment paper at the bottom. Sift flour, salt, baking powder, cornflour and all the spices powder mentioned below. Keep them aside. 2. Peel oranges and make their juice in a juicer Or grinder. 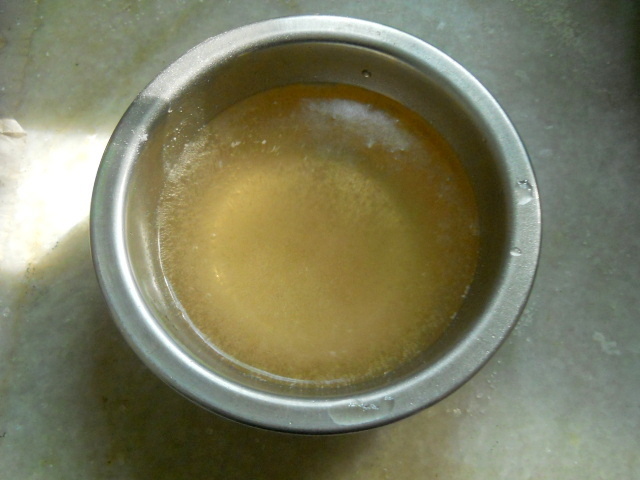 Strain the juice and collect the juice in a wide mouthed pan. 3. Place the orange juice on low heat for 2 mins then add all sugar. Give a nice stir. It’s time to add all chopped Or crushed dry fruit and nuts reserve some hazelnuts for later. Also mix orange peels, tutti fruity, powdered sugar and oil. 4. Simmer for another 5 to 7 mins on medium heat. Keep stirring you will see after some time the nuts will absorb the juice and the mixture starts reducing. Switch off the gas allow the mixture to cool down. 5. Fold sifted flour gradually into batches of three. 6. Mix baking soda with water. 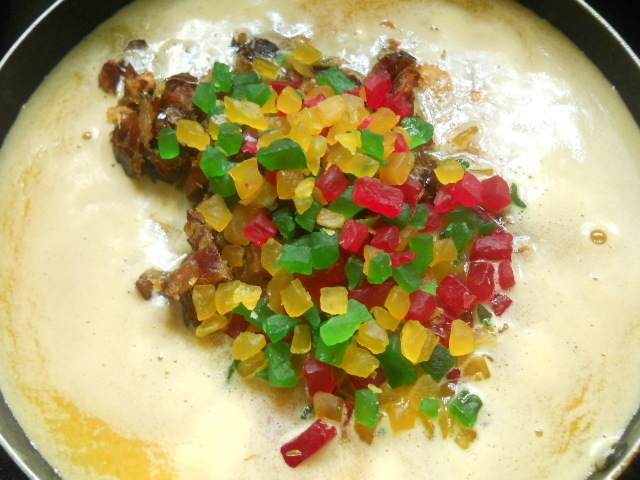 Add this mixture into cake batter and fold gently. 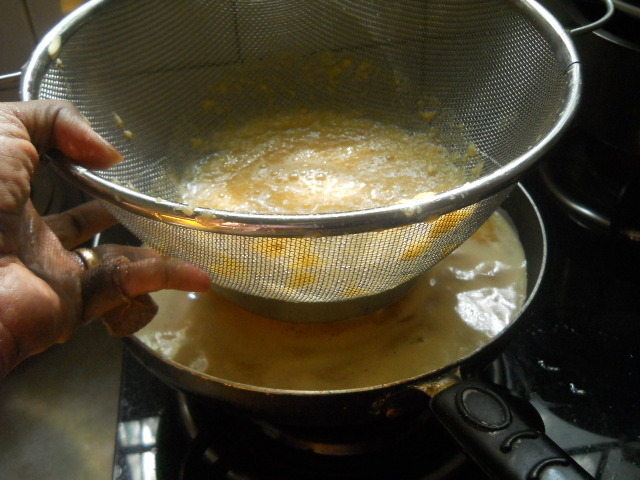 Pour the batter into the greased detachable pans. Top the cake with the reserved hazelnuts. 7. Bake both pans at 180°C for the first ten mins then reduce the temperature to 160°C and bake for another 30 mins Or until the skewer comes out clean. Allow the cake to cool in the pan. Once cools down gently umould and remove the baking paper. Slice and serve warm Or cold. 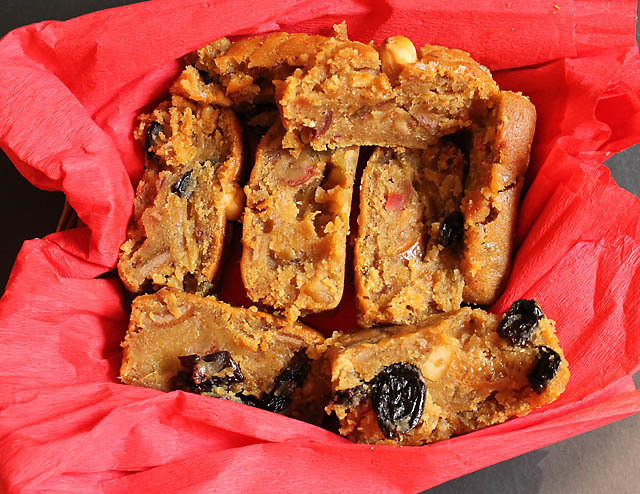 This Christmas Fruit Cake is eggfree, liquor free dairy free and no time bound. The best part of this Eggless Christmas Fruit Cake is it can be made instantly without soaking business. paper at the bottom. 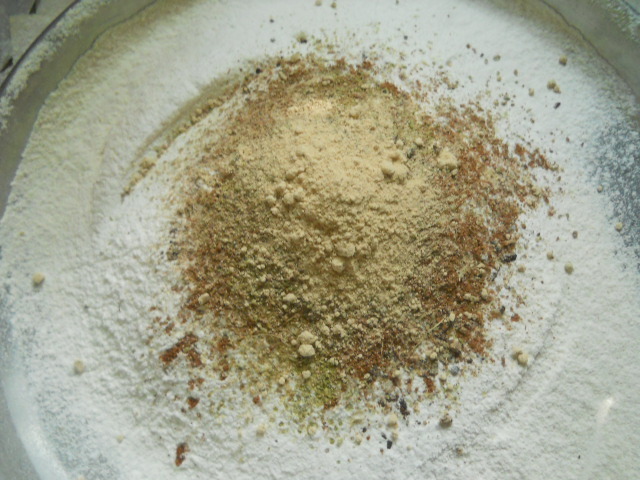 Sift flour, salt, baking powder, cornflour and all the spices powder mentioned above. Keep them aside. Peel oranges and make their juice in a juicer Or grinder. Strain the juice and collect the juice in a wide mouthed pan. Place the orange juice on low heat for 2 mins then add all sugar. Give a nice stir. It's time to add all chopped Or crushed dry fruit and nuts reserve some hazelnuts for later. Also mix orange peels, tutti fruity, sugar and oil. 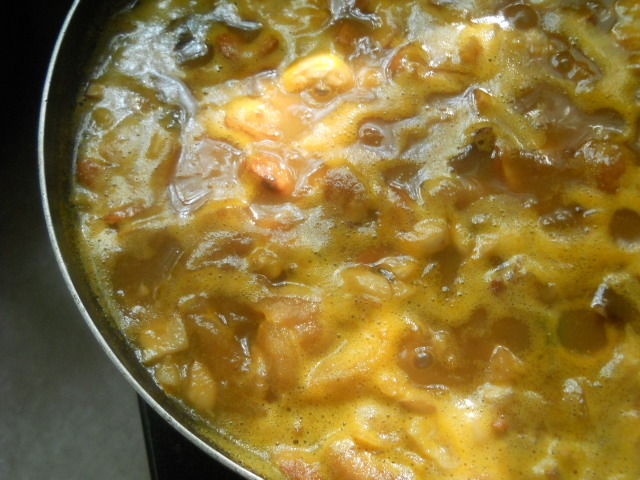 Simmer for another 5 to 7 mins on medium heat. Keep stirring you will see after some time the nuts will absorb the juice and the mixture starts reducing. Switch off the gas allow the mixture to cool down. 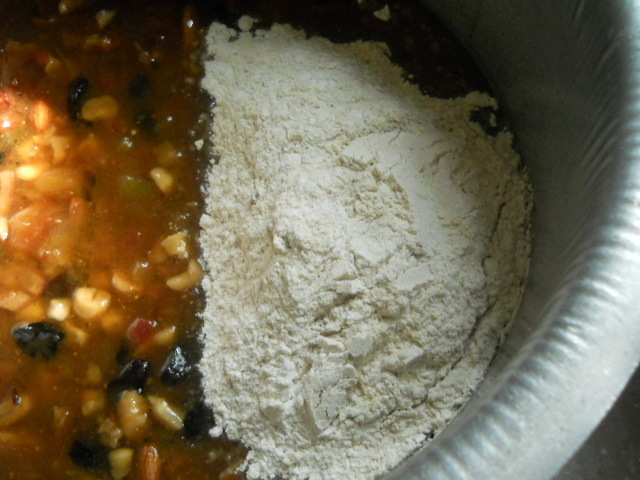 Fold sifted flour gradually into batches of three. Mix baking soda with water. Add this mixture into cake batter and fold gently. Pour the batter into the greased detachable pans. Top the cake with the reserved hazelnuts. Bake both pans at 180°C for the first ten mins then reduce the temperature to 160°C and bake for another 30 mins Or until the skewer comes out clean. Allow the cake to cool in the pan. Once cools down gently umould and remove the baking paper. Slice and serve the christmas fruit cake warm or chilled. If the cake is browning you could cover the cake with foil. If you like butter use it in replacement of oil. Also you could your own choice of dry fruits. If you love liquor use rum instead of juice. I have tried rum cake with eggs and without eggs both taste great. Have used spice powder you could use all spice powder Or spices you love for this cake. Nuts are optional add them if you have or just skip it. If you feel the cake batter is too dry add little water if required. Dear Maria, nowhere it’s mentioned how much sugar to use. Could you please add that detail in your post? By the way cake is luking super delicious!!! Priya thankyou have rectified the error please add the spice powder mentioned in the recipe list. Hope this help’s you. Kirti please give me some time as would soon come up with a post for eggless cakes in pressure cooker 🙂 take care. Thank you so much Maria …….such a lovely recipe . Will you please post the authentic rum cake recipe and he method of making caramel syrup at home whenever you have the time . Thanks once again . Madhu I will surely do that take care have fun 🙂 and thanks! This cake looks so moist and rich. I love fruit cake but it doesn’t love me unfortunately. It’s great that it is dairy and alcohol free. Thanks Suzanne don’t add fruits in that case. Wow? Maria What a lovely and tasty recipe and where is my share, I want my share?